We have some great news about a partner that we’ve previously featured on our blog! 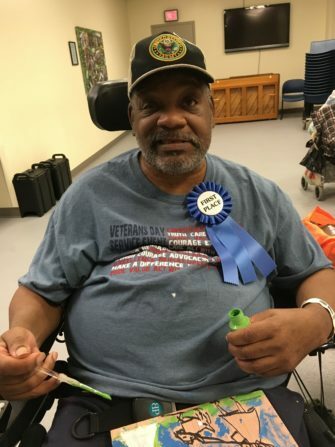 Art Therapy for Veterans Administration DC Medical Center Residents is an organization that offers art therapy sessions at the Medical Center’s Community Living Center. Kasse Andrews-Weller, a program volunteer and military veteran herself, connected the program with Community Forklift last year, and helped them make great use of our Community Building Blocks program. 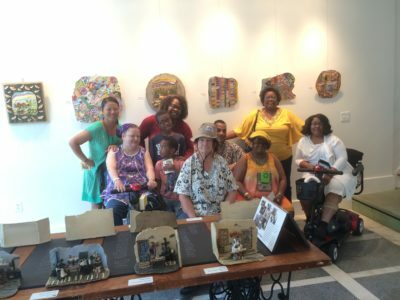 With their CBB grant, Art Therapy for Veterans Administration DC Medical Center Residents has received free picture frames, tiles, paint, and other supplies from Forklift for use in art therapy sessions. Just last week, Kasse shared an exciting update! 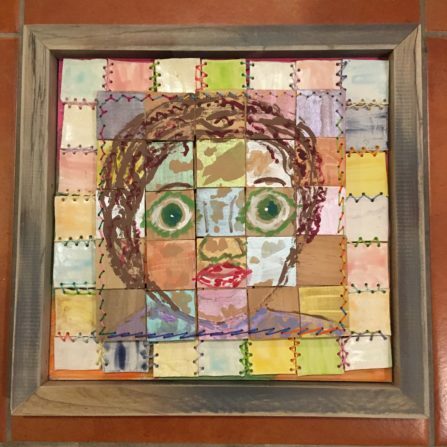 She and Michael Green, a disabled US Army Veteran who participates in the art therapy program with Kasse, entered the National Veterans Creative Arts Competition in the group art category. Their piece, which was painted on wood parquet squares from Community Forklift, won first place at the D.C. level, and is being forwarded to the National Competition. We wish them luck! Community Forklift aims to turn the construction waste stream into a resource stream for communities in the DC region. If you like what you see and want to help us support more amazing projects like this one, you can make a financial contribution on our website. Your support is crucial to our work. 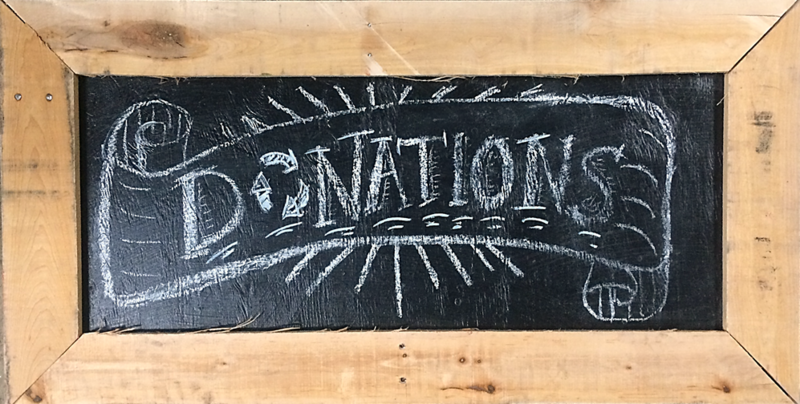 Every gift, large or small, helps us lift up local communities through reuse.